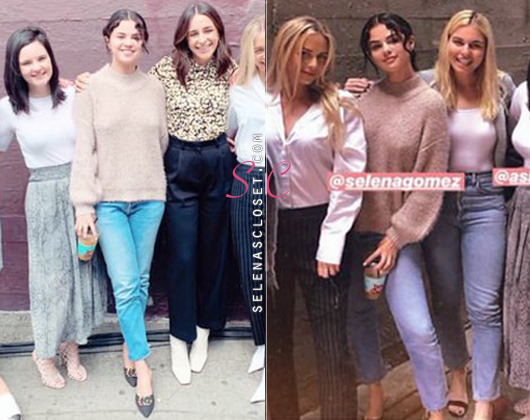 April 21, 2019- Selena Gomez and friends spent their Easter together today at church and had a lil gathering. She kept it somewhat casual chic for the occasion. Details on the ensemble under the cut. Selena Gomez performing at Coachella on April 12th, 2019.